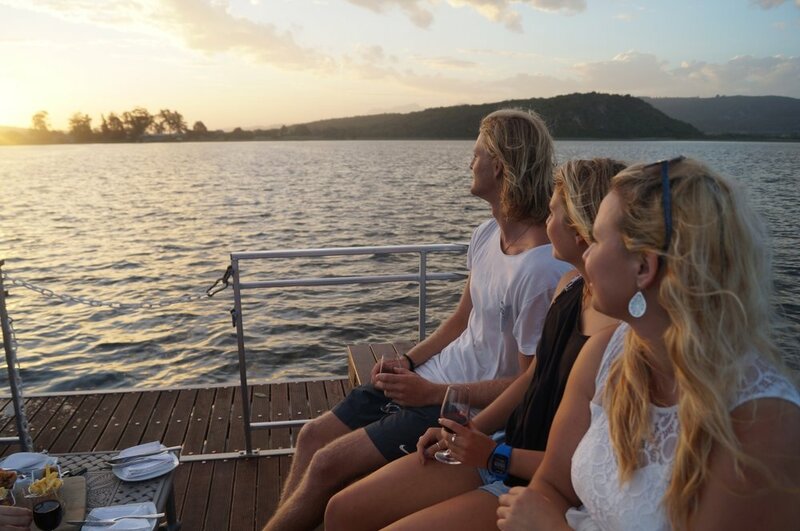 Experiencing Lakeside Lodge & Spa’s wine tasting boat cruise is one of the best things to do in Sedgefield. Book our pontoon boat cruise special and enjoy picturesque views, fine wines and delicious food on board the Lady Giselle. On the Garden Route drive from George to Knysna, you will find the Wilderness Lake District. This beautiful and protected environment consists of 5 lakes, 5 rivers, 2 estuaries and 28km of beach. Birding, hiking, cycling, mountain biking and water sport enthusiasts alike adore this naturally awesome area. Lakeside Lodge and Spa is located on the bank of the largest lake in the Wilderness National Park wetland area, Swartvlei Lake.